« SPOOKTACULAR Halloween Party Video! Recently, I attended a SPOOKY book club which was beautifully organized by a mom from our school. “How did you do all this, Mini”, everyone asked. 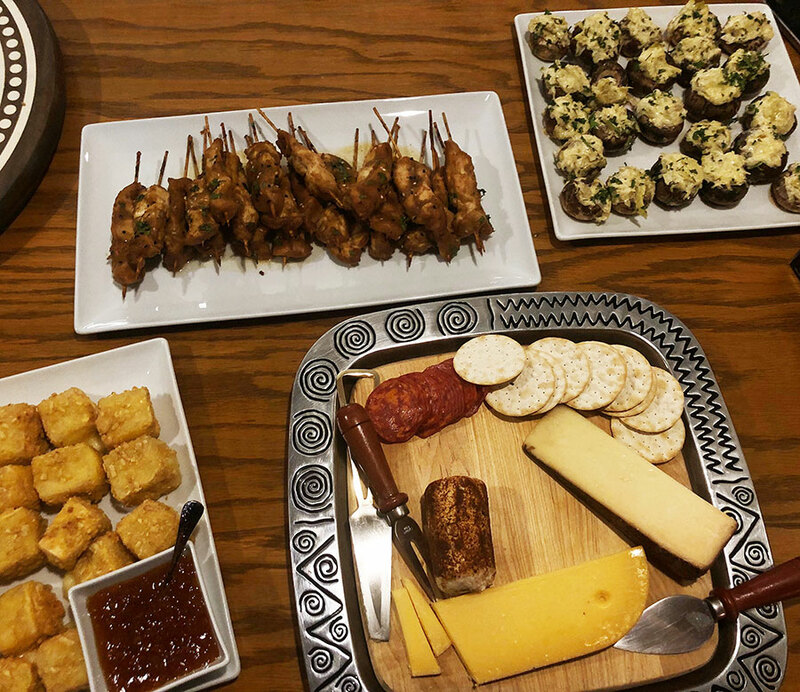 Mini wasn’t secretive about how she was able to create such a fabulous buffet while being a working mom…. she outsourced everything! As a hostess who loves to outsource myself, I always keep an eye out for great places to contact when I am throwing my own shindig. Mini contacted Straub’s, which is a local supermarket that specializes in gourmet food. The book we discussed was Educated by Tara Westover, which is a wonderful book… I highly recommend it! But I have to admit, the highlight to my evening was the beautiful way Mini entertained her room full of guests and the delicious accompaniments to the wonderful book discussion. I loved the stuffed mushrooms and the melted cheese with chutney. The chicken skewers were also easy to eat and delicious. 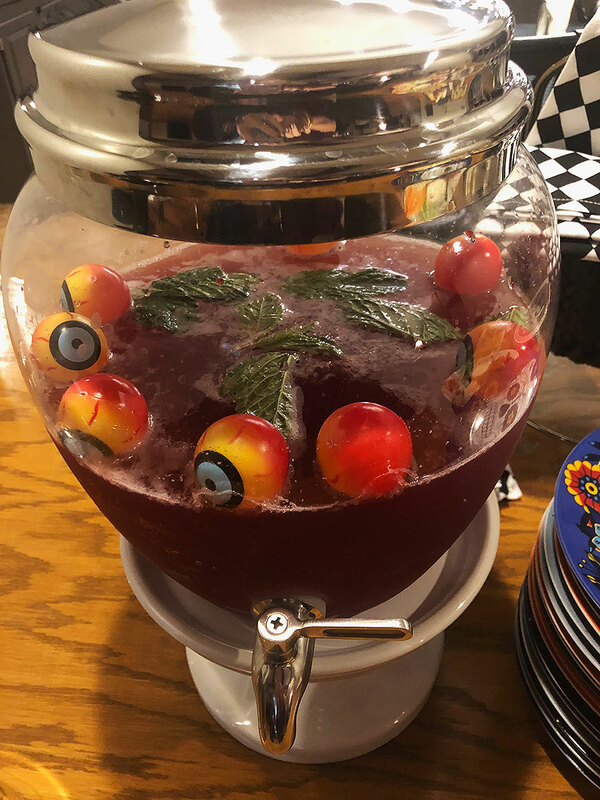 However, my favorite part of the appetizer buffet was the Bloody Eye Punch. It was a mixture of juices topped of with a little champagne. 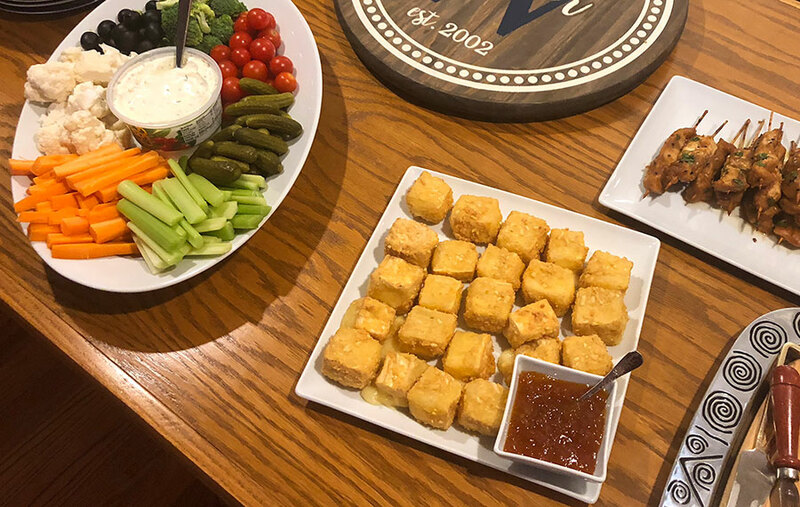 This entry was posted on Monday, October 29th, 2018 at 8:00 pm	and is filed under 31 Days of Halloween, Appetizer Platters, Appetizers, Book Club, Buffet, Halloween, Low Carb, Parties.